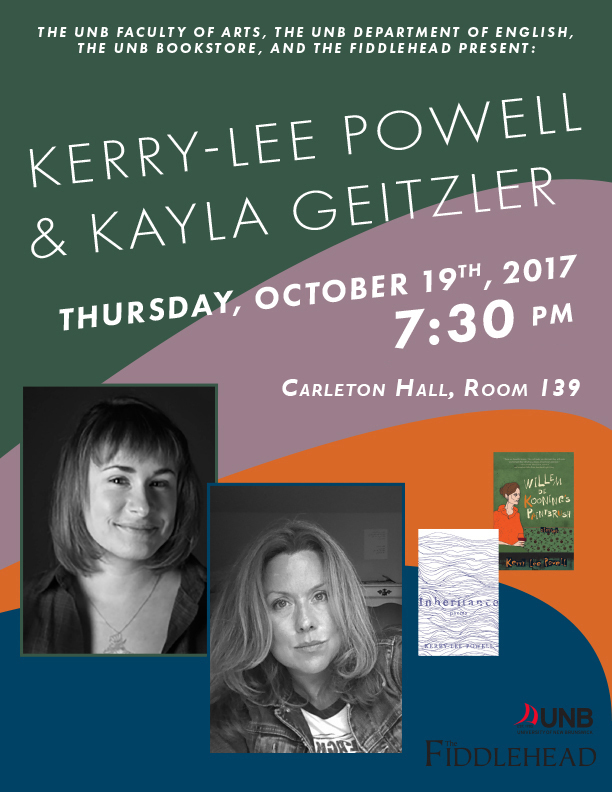 The University of New Brunswick invites you to join us for a literary reading by authors Kerry-Lee Powell and Kayla Geitzler on Thursday, October 19th at 7:30 pm. Please note a new venue for the reading: Carleton Hall, Room 139, on UNB’s Fredericton campus. Kerry-Lee Powell’s debut short story collection, Willem de Kooning’s Paintbrush, was nominated for both the Scotiabank Giller Prize and the Rogers Writers’ Trust Fiction Prize. 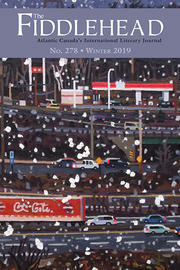 A finalist for the Gerald Lampert Award in 2015, Powell’s collection of poems, Inheritance, was praised by The Harvard Review for its “exacting imagery that surprises not for its imaginative leaps but for its grim precision.” She currently serves as the Writer-In-Residence at UNB. Kayla Geitzler recently earned her MA in Creative Writing from UNB. Her debut poetry collection, That Light Feeling Under Your Feet, digs into the surreal, grotesque world of working on a cruise ship, and is forthcoming from NeWest Press next spring. This event, sponsored by the UNB Faculty of Arts, the UNB Department of English, the UNB Bookstore, and The Fiddlehead, is free and open to the public.